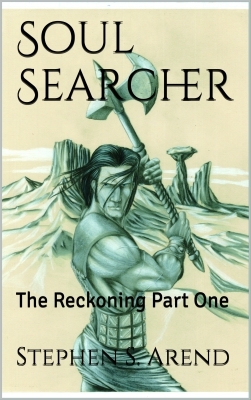 Soul Searcher: The Reckoning Part One details the journey of one man, Rork, as he strives to make sense of the strange memories and images that have plagued him for the past ten years. In making this journey, Rork will discover who he really is…and was. Rork gathers to his side an enigmatic forester with ties to a forgotten race, that young man’s secret protector and a boisterous islander with pride as large as the open canyon country. In the end, Rork must decide between what he can do for others and what he must do for himself, for along the way Rork discovers friendship and emotions. Both are difficult for a man with half a soul. Can a man with half a soul find redemption?